Opportunity knocks with this 3 bedroom, 2 bath home just around the corner from Bishops Peak & Pacheco Elementary schools. Built in 1954 with around +1270 sqft of space and over 1/4 acre lot. There is a 4th bedroom currently set up as a laundry room but offers a large closet and could be converted back into a bedroom or left as is. A single car garage and two driveways offer ample off street parking. Wood flooring, fireplace, indoor laundry, open living concept all with direct views of Bishops Peak and the large yard. 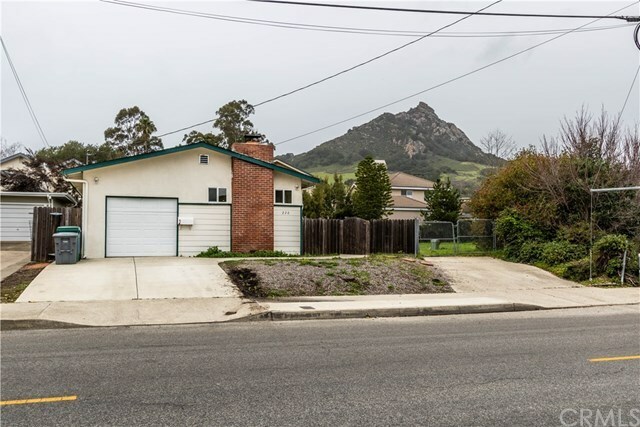 Close to hiking and walking trails and downtown SLO, you don't want to miss this opportunity! Directions: From 101, exit California, right on California, left on Foothill, right on Patricia. House is on the left.